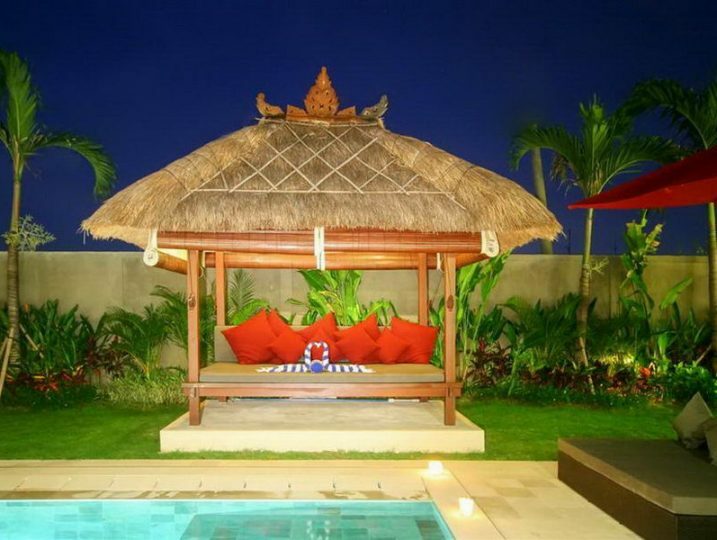 Ideally positioned on a secluded lane just 10 minutes walking distance from three major destination roads, the Villa puts the best of Bali at your door-step: Restaurants and cafes to suit every taste and budget, shopping in boutiques and art galleries from the cream of Bali’s talented designers, the nightlife of bars, live music and salsa clubs, spa and massage services and the ever popular Seminyak beach. 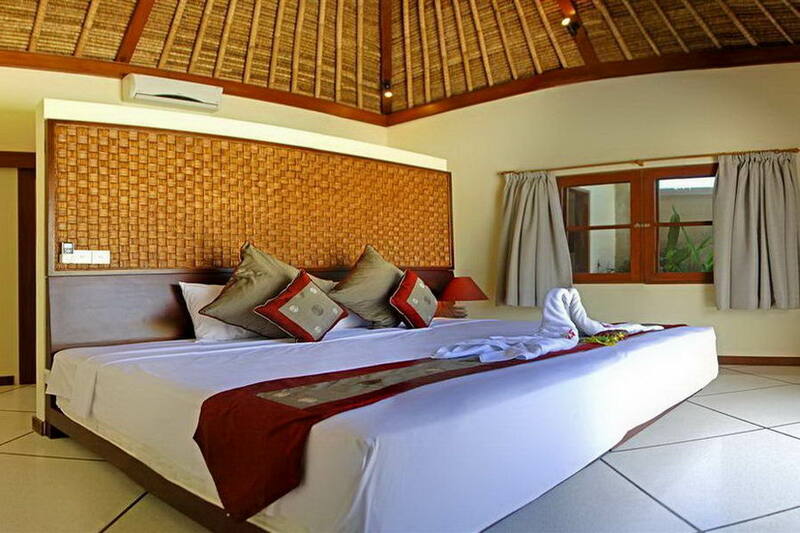 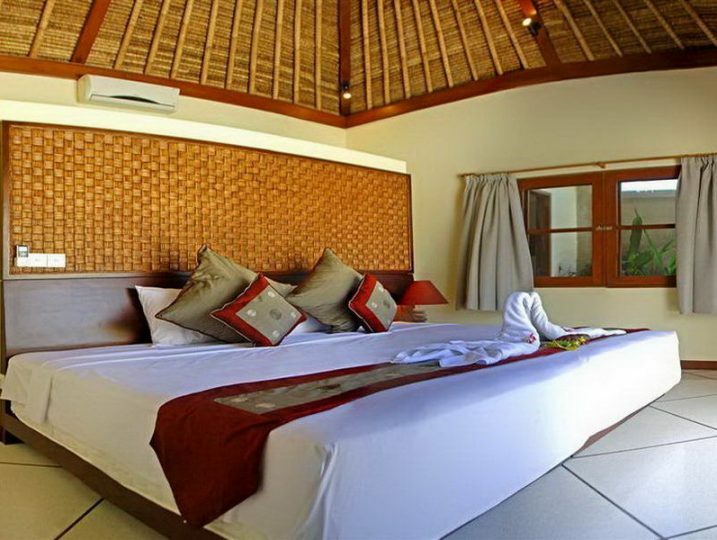 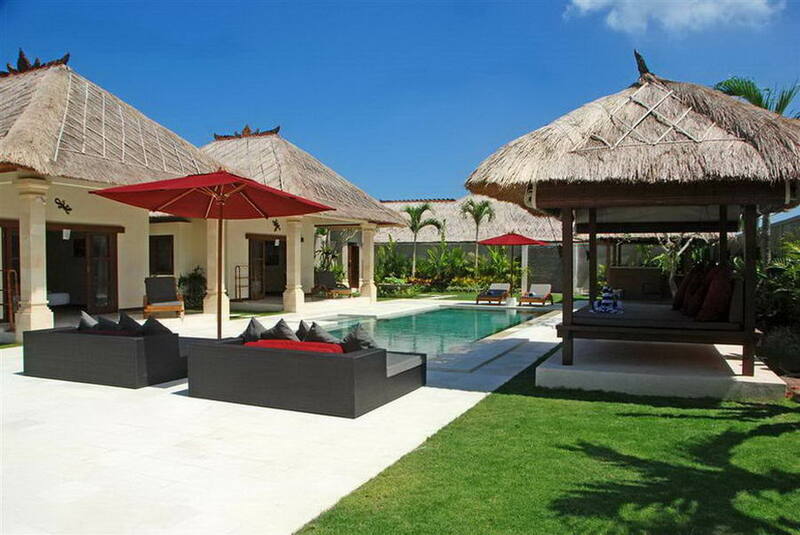 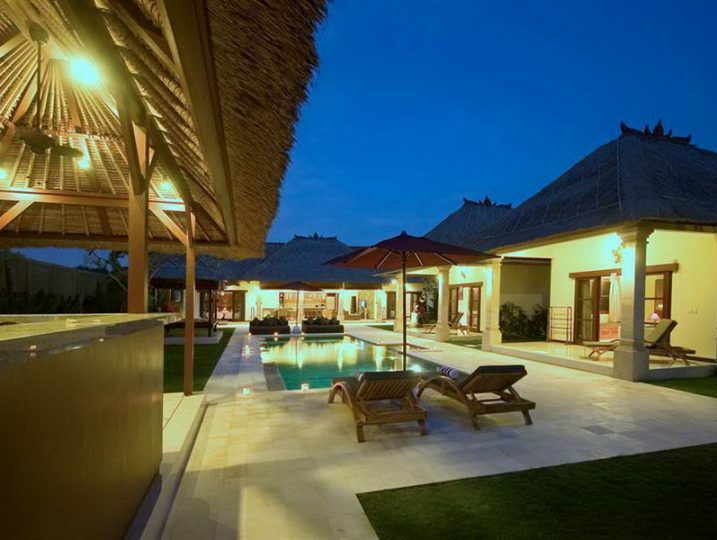 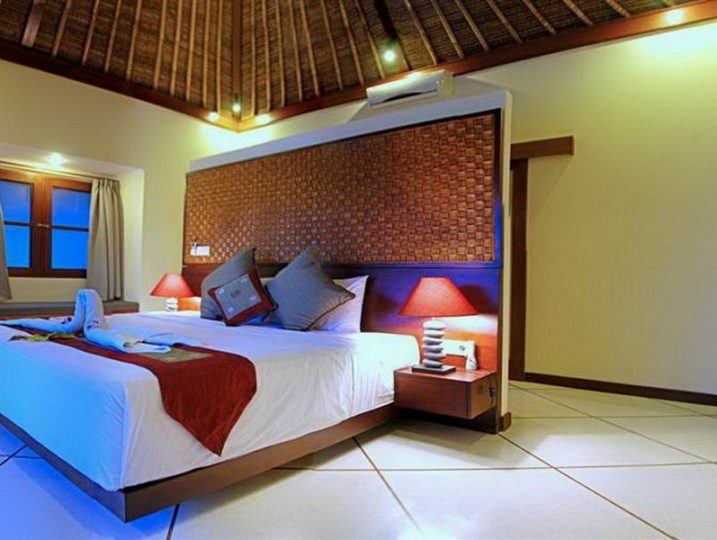 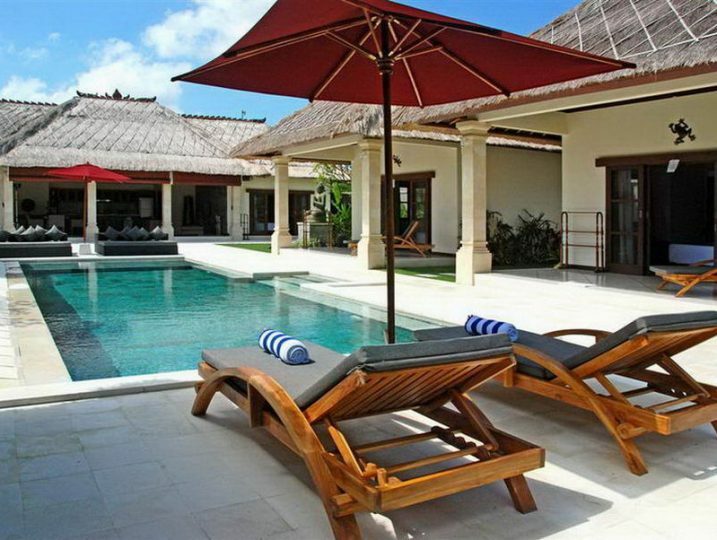 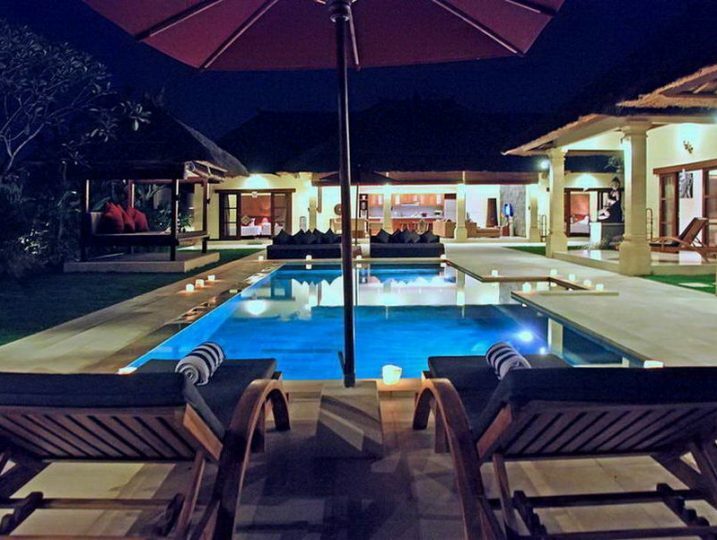 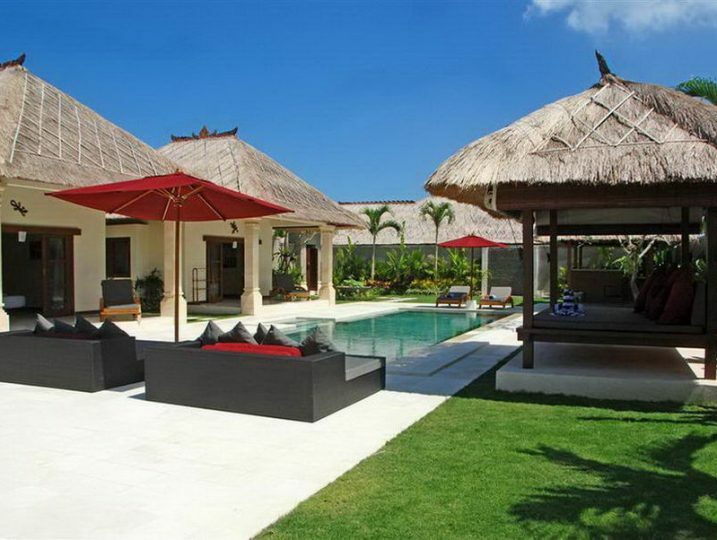 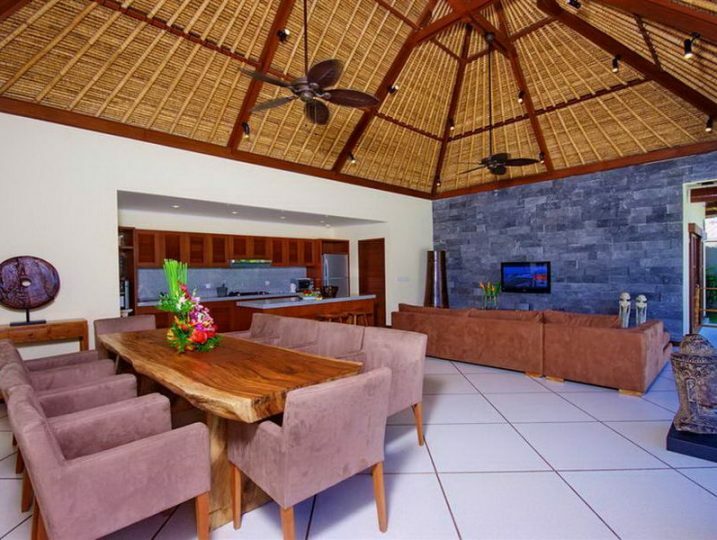 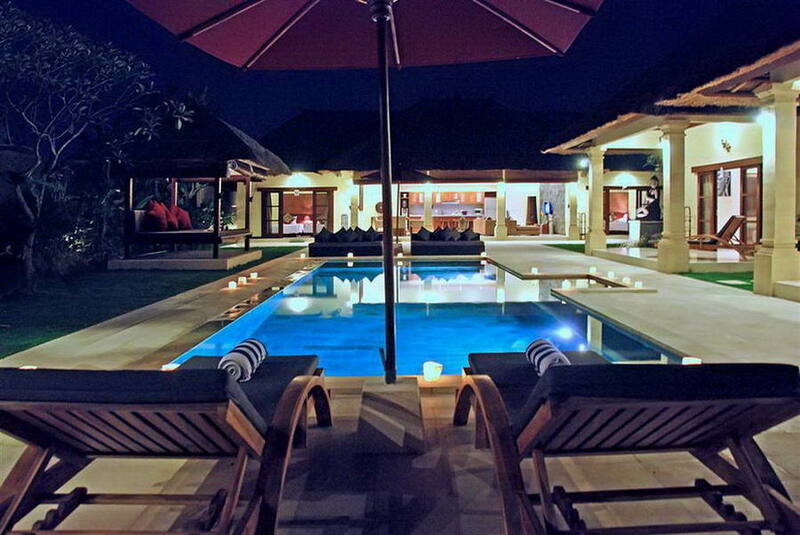 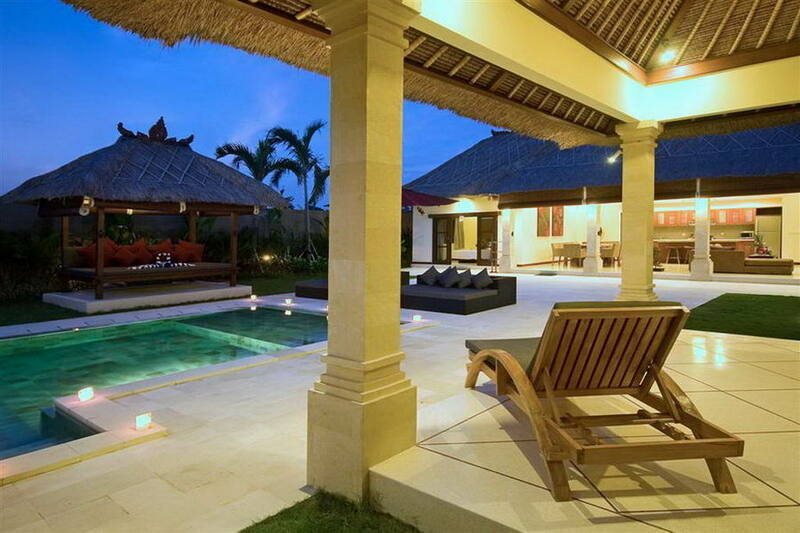 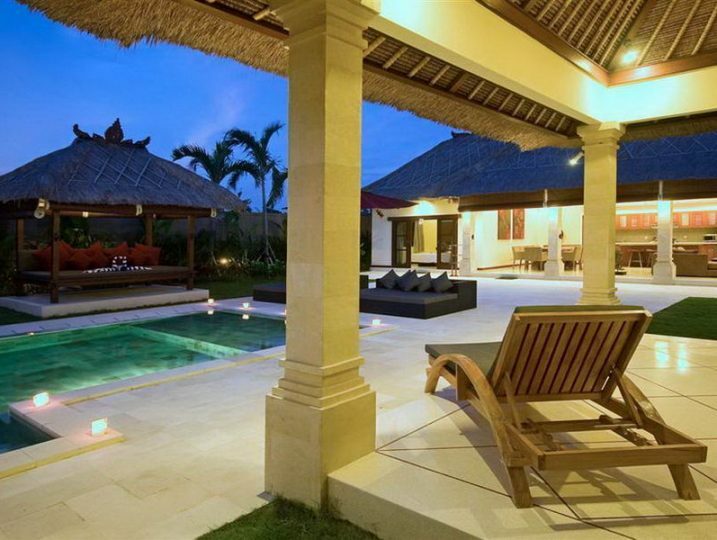 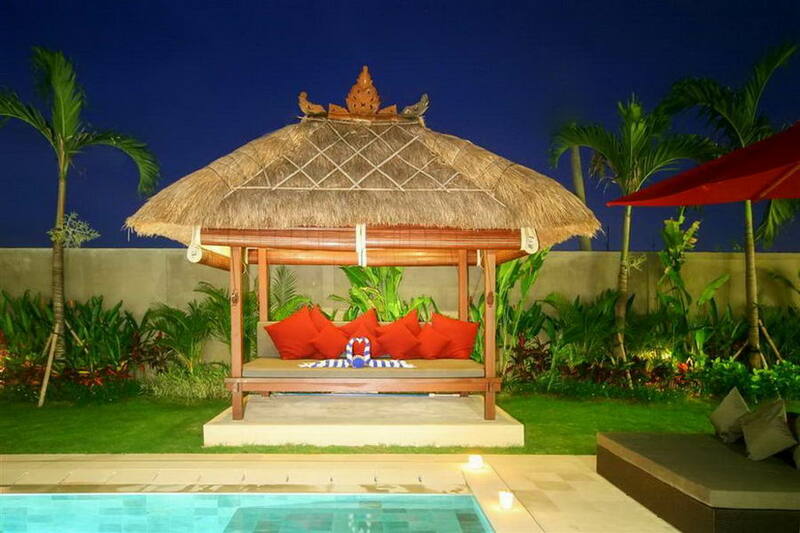 The Villa is a single-story four bedroom villa, complete with a private pool. 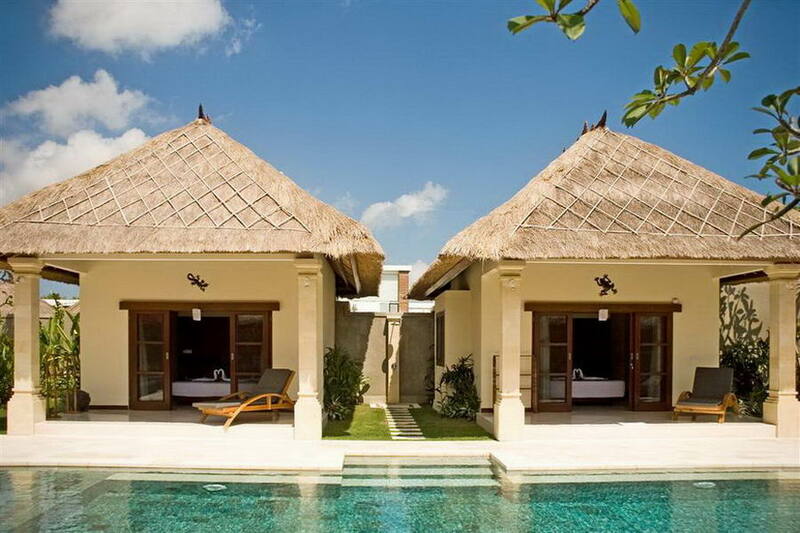 Inspired by traditional Balinese family compounds, two of the four en-suite bedrooms are stand-alone bungalows, each with terrace and sun-lounger. 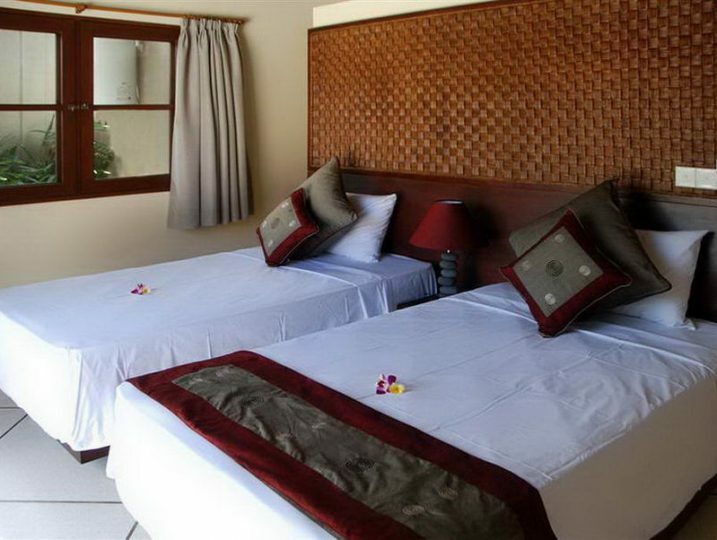 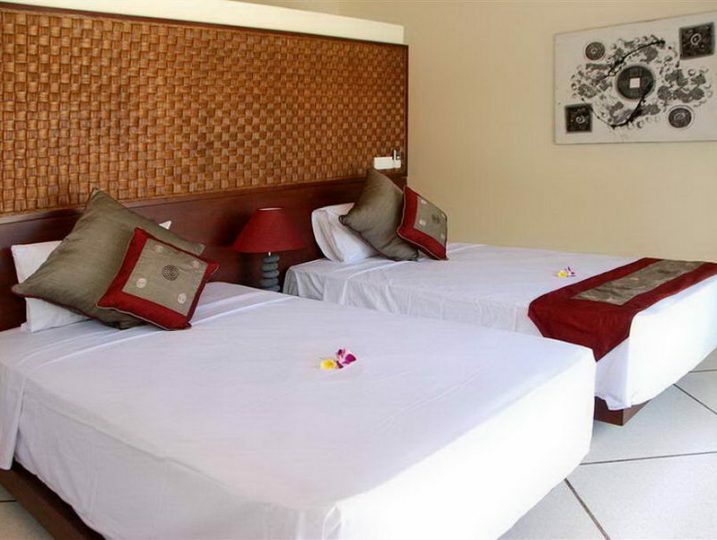 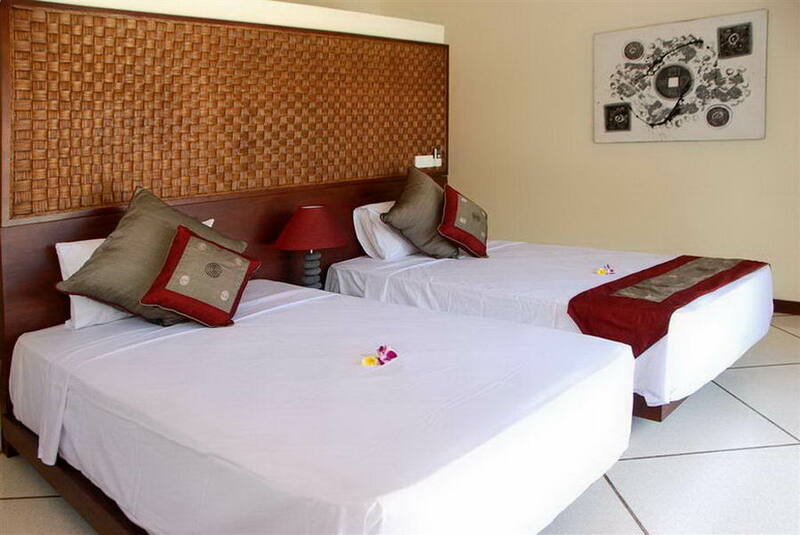 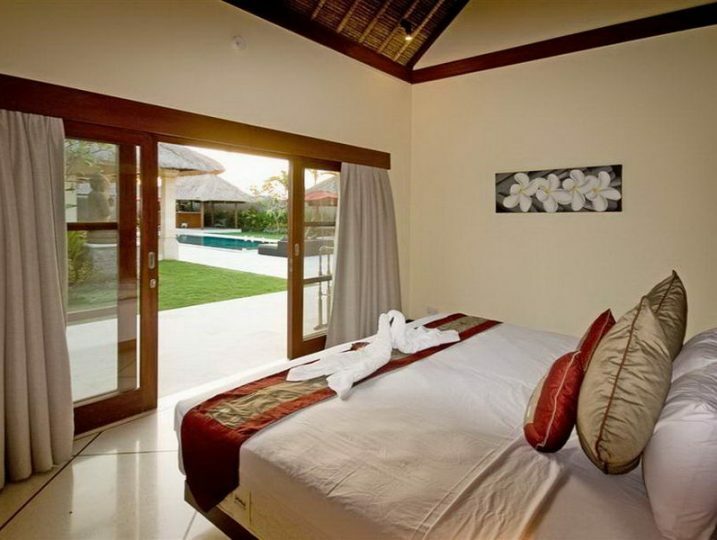 The main building houses a further two bedrooms and the main living area, a tastefully furnished space that includes a fully fitted kitchen/dining area and a seated lounge facing a wall-mounted flat screen television. 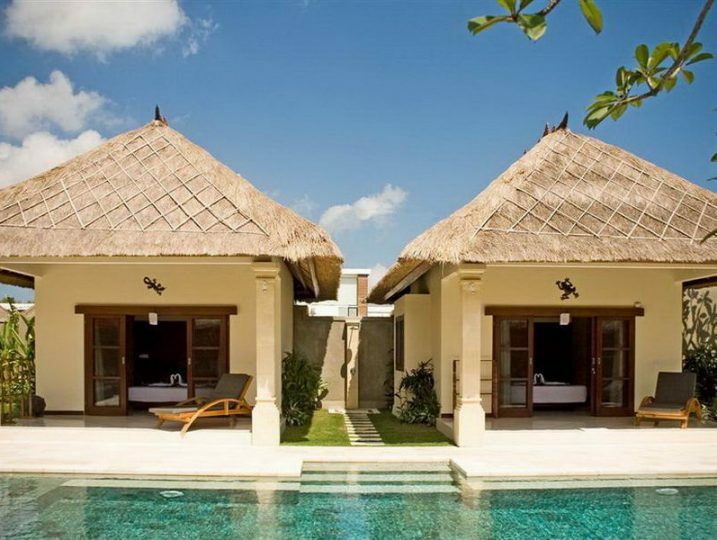 Extensive staffing at the villa ensures a smoothly run holiday: Manager, daily housekeeping, personal guest assistant, pool and garden attendants and 24-hour security. 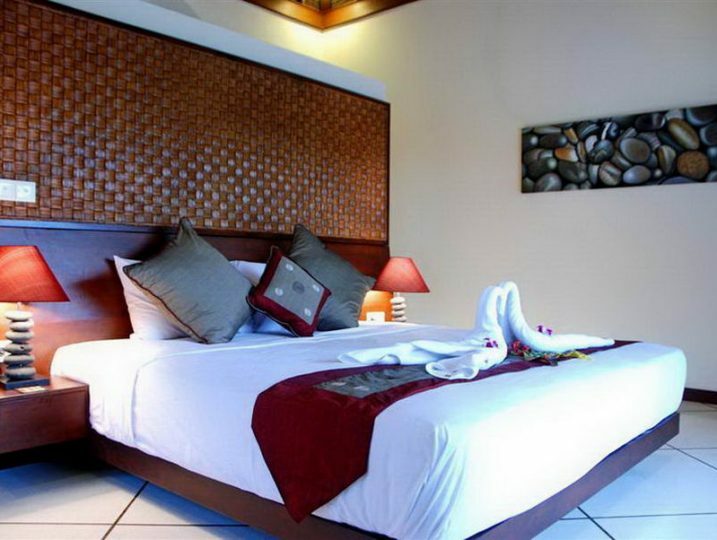 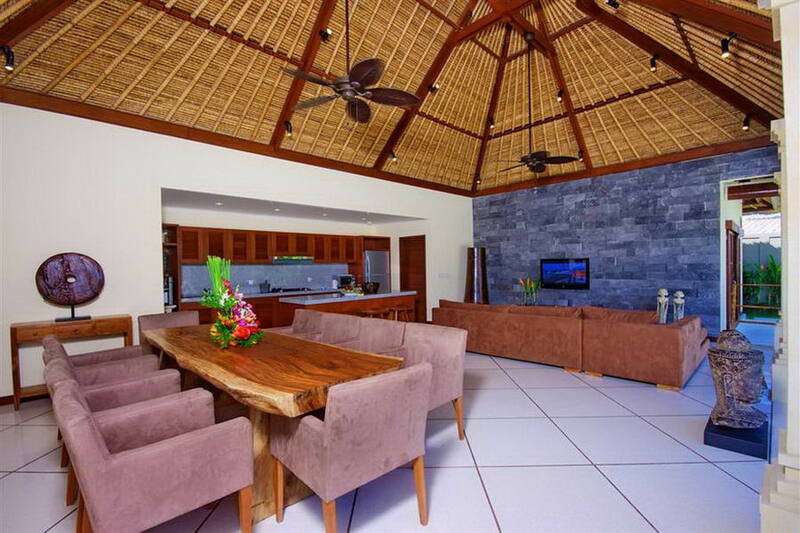 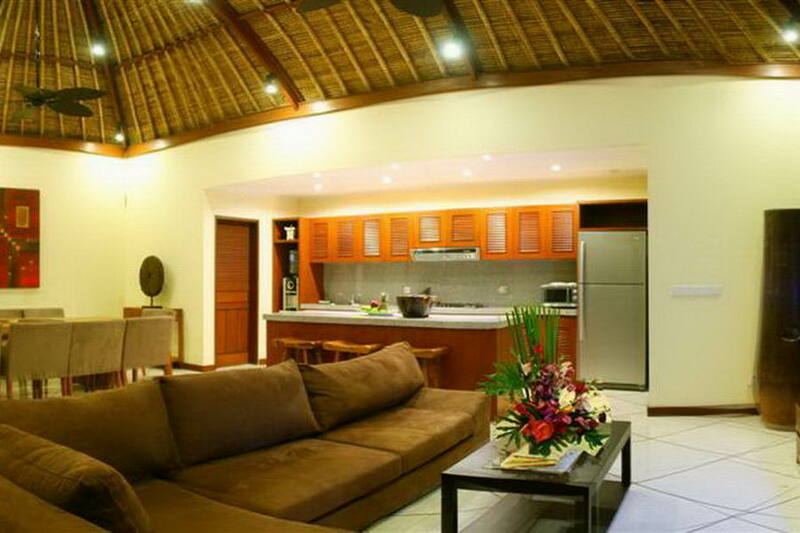 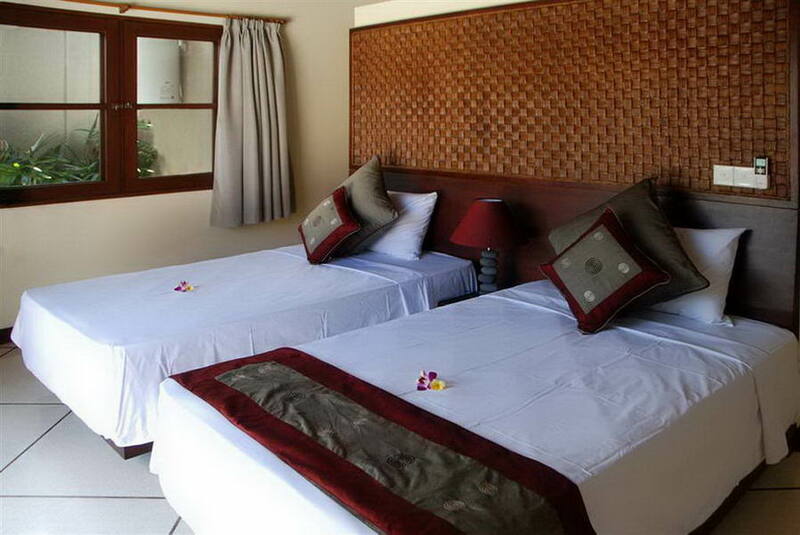 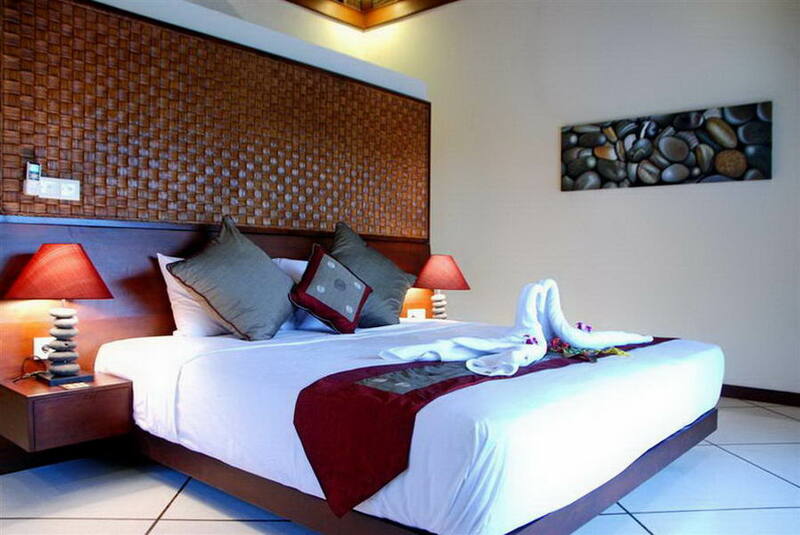 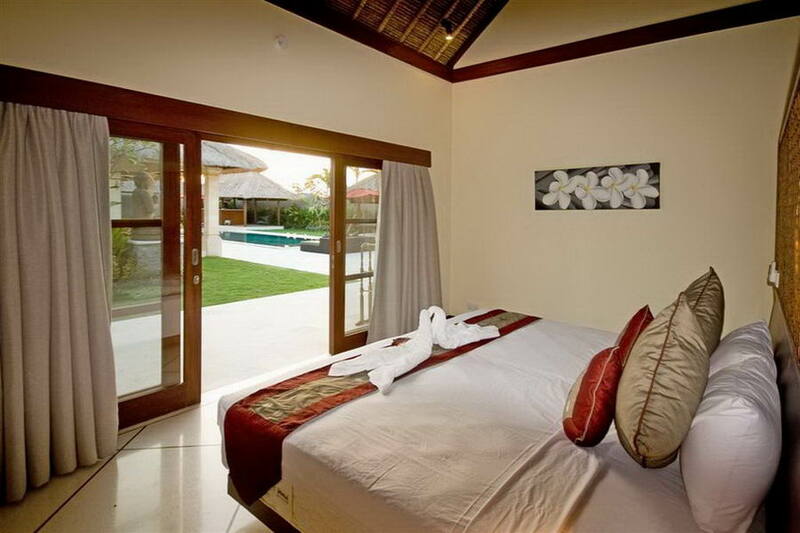 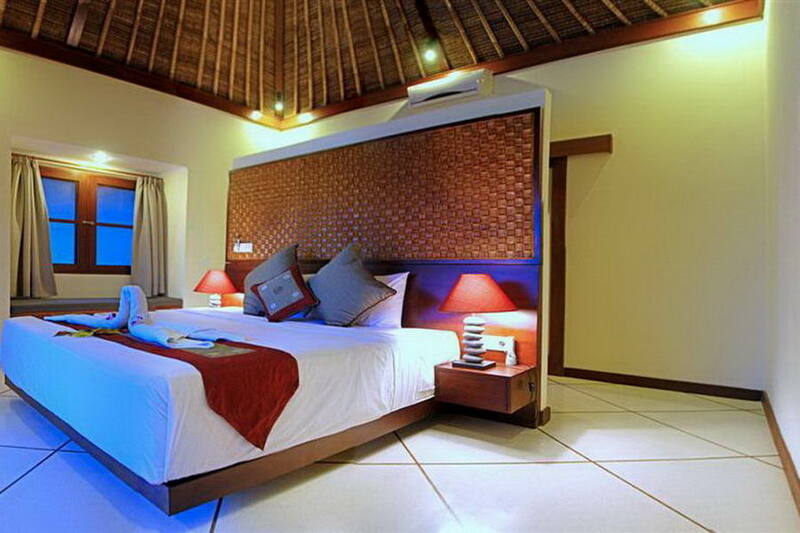 All of this Villa’s light and spacious rooms look out onto the tropical gardens and swimming pool. 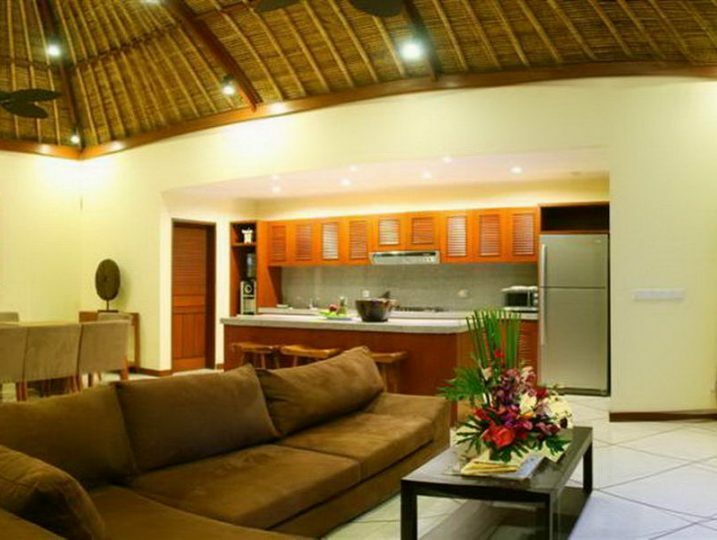 With generous and well-considered outdoor seating areas and a poolside bar and grill, the design offers guests the indoor/outdoor experience that is the essence of tropical living. 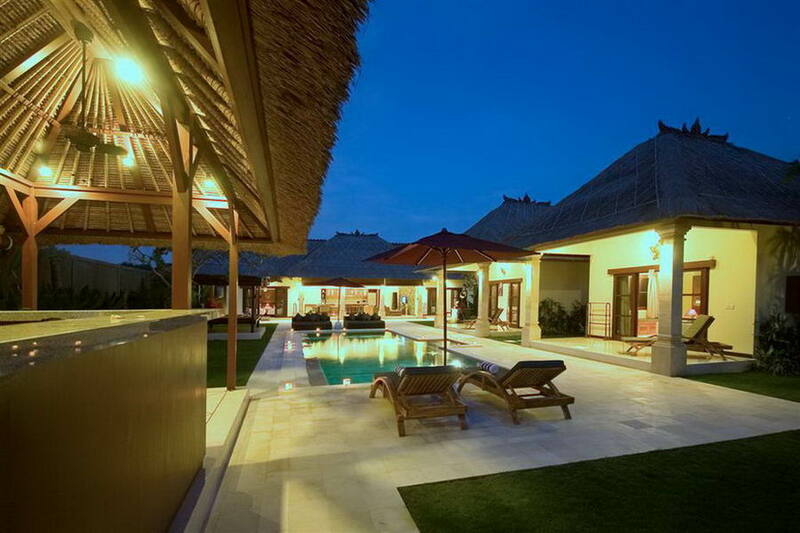 Vila Alam Drupadi (SEMV0027) is available for selected dates.